Fiat G.50, MM.5450, of 353a Squadriglia, 20° Gruppo (56° Stormo C.T. ), Munich, 17 October 1940, on transfer to Belgium to operate against England. Three-tone scheme of Green and Brown blotches on Sand background with Light Grey lower surfaces. National insignia in black on white roundels under the wings, and lacking above. In September 1940, it was decided, mainly for propaganda reasons, to sent an expeditionary force in Belgium, called Corpo Aereo Italiano (CAI), taking part in the Battle of Britain besides the Germans. On that occasion, a new 56° Stormo was purposely established, combining 18° Gruppo with CR.42s and the G.50 equipped 20° Gruppo. Between 22 September and 20 October, the latter unit was transferred to Belgium through Germany, calling at Treviso, Bolzano, Munich, Frankfurt and Maldegem, the newly assigned base of the Gruppo. For the tour of duty over the Cannel coast, the Gruppo had received new fourth series aircraft, fitted with propeller spinner and wireless set. 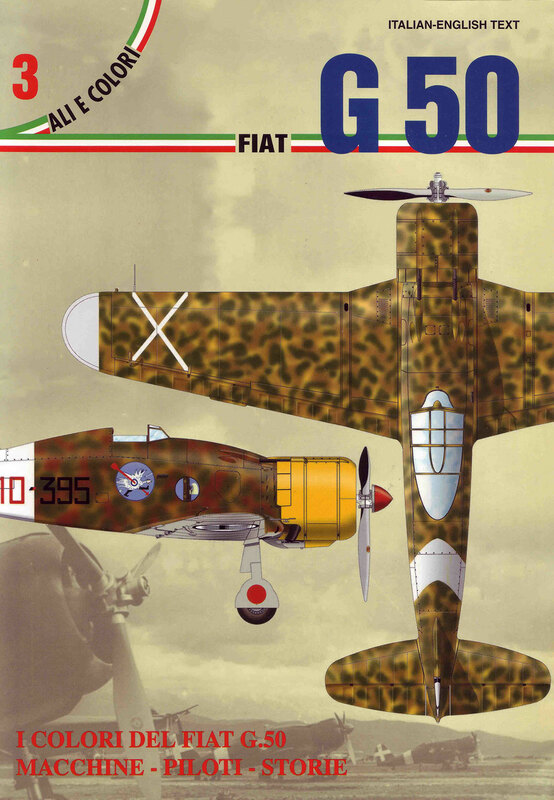 Fiat G.50 bis of 353a Squadriglia, 20° Gruppo Autonomo C.T., Martuba, July 1941. 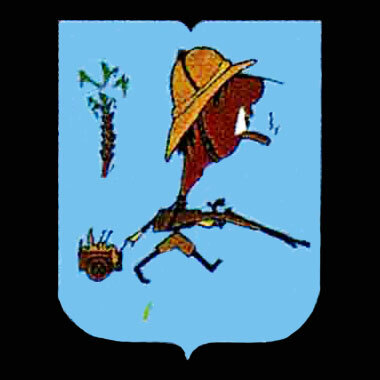 Standard three-tone scheme with Green and Brown blotches over Sand background and Light Grey lower surfaces. Wing national insignia carried on white roundels with a white Fiat-type tail cross. Propeller spinner was blue-grey. Here we have another tropical scheme, very similar to the ‘streaky’ scheme seen on some other Fiat-built fifth series aircraft, having less marked diagonal blotches, and used contemporary on other aircraft from the same production batch. Cowling is yellow as officially prescribed at the time. A distinctive feature unique to this camouflage, was the high demarcation line of the lower colour meeting the upper colours under the tailplanes. Note that 20° Gruppo’s aircraft in North Africa very rarely carried the ‘cat and mice’ Stormo insignia (still appearing on pilot’s flight suits, however), had as the unit got autonomous status.